You may not have heard of self-described ‘mustachioed Irish troubadour’ Tom McConnell before, but from the sounds of his latest EP Handiwork, he’s soon to become a well-known name in the Christian music scene. McConnell hails from the UK but last year spent time in Seattle, USA where he got connected with Mars Hill Church; and found himself playing guitars on Citizens’ Already/Not Yet EP and self-titled debut album. The time spent abroad challenged him in his songwriting, and caused him to consider how to take traditional hymns and rework the arrangements for a new audience. The Handiwork EP is very short – not quite fifteen minutes in length – but it features four joyous songs that all shine bright. Recorded independently and in a friend’s garage in Suffolk, the EP is full of banjo, foot stomping, and country twang – an even more folky sound for McConnell than previous offerings. The title track opens the record. It’s a joyous, fast-paced banjo and tambourine hoedown that celebrates Ephesians 2, particularly verse 10. As God’s people saved by the blood of Jesus, we’re now given good deeds that he has prepared in advance for us to do. The bridge is beautifully written: ‘We are all pieces of handiwork / We were made to work so let’s get building / the kingdom of heaven here on earth / where we know our labour will not be in vain.’ I love the instrumentation on this track but feel like the mix still needs some tweaking. That said though, the song shines in its own right and I’m sure it will soon be sung by church congregations the world over. Old Hymns/New Hearts is an already much-loved song. Again, this is a celebratory track (complete with ‘whoa-oa-oa’ interludes). It’s all about reconciliation to God through the blood of Christ. ‘Alleluia he has loved us so abundantly / Brought from death to life because my God has ransomed me’. The EP continues with a new arrangement of hymn And Can It Be, with pounding drums and wailing harmonies. The EP closes with sweet and whimsical The Wedding Song. Tom wrote this track as a wedding gift to two friends, and if you listen closely, you’ll hear him sending his apologies! It moves along nicely, brings a smile to your face, and glorifies Christ. Read more about this in our interview with Tom about the EP, here. This EP certainly left me salivating for more. Tom McConnell is a gifted songwriter and I’m honestly really excited about what worshipful songs we’ll hear from him in future. Although short, Handiwork is brimming with joy, brings glory to God, and perfect for individual or corporate reflection. I’m giving it three-and-a-half out of five stars. 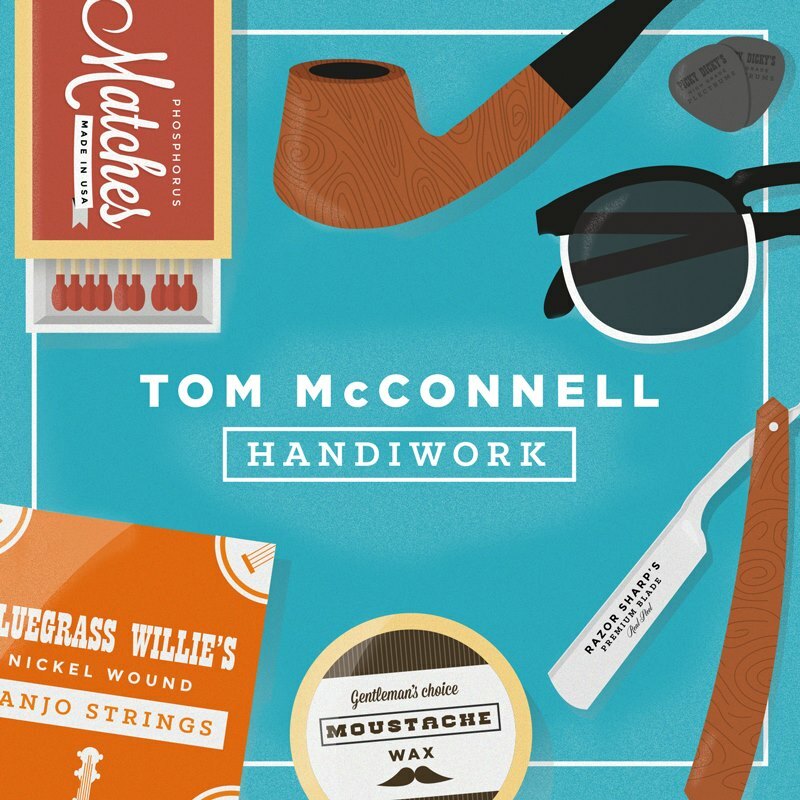 Handiwork by Tom McConnell will be released this Tuesday 3rd June on iTunes. Read our extensive interview with Tom about the Handiwork EP here. Posted in MusicTagged Album Review, christian, Handiwork, Mars Hill Church, Tom McConnellBookmark the permalink.